Wildlife managers, including biologists and researchers, in recent years have adopted an “adaptive management” strategy when dealing with long- and short-terms management practices. In part, this means those managers are able to change strategies quickly when situations arise that may demand a switch in focus. One example: the research being done on mule deer. Hunters and wildlife managers agree there are many negatives about the declining mule deer populations across the West. It means fewer hunting opportunities and the subsequent loss of a tradition that has become a key economic driver for many Western towns. Mule deer declines aren’t new. In 1999, outdoor writer Bob Saile noted in Field and Stream magazine that mule deer harvests across the West had declined for several years. He listed several possible causes for the decline – severe winters (especially 1992-’93), prolonged drought, loss of forage and habitat – the same reasons being promoted today. That the possible causes of the drop-off haven’t changed in 15 years is indicative in part of how sensitive mule deer are to environmental factors. It’s also indicative of the head-scratching nature of answering difficult, multi-pronged wildlife issues. The still unexplained decline has many game managers searching for answers. Competition? Predation? Development? Environment? All of these avenues and others are being considered using adaptive management procedures. 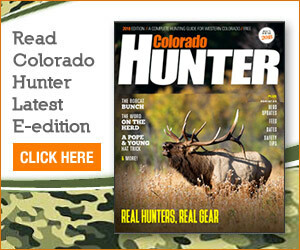 However, the latter, says Colorado big-game manager Andy Holland, might be the best news of all, and that concern about mule deer might prove to be their savior. One of the more-surprising results of the West-wide focus on mulies is how much other states are looking to Colorado’s years of deer research for answers to their own problems.